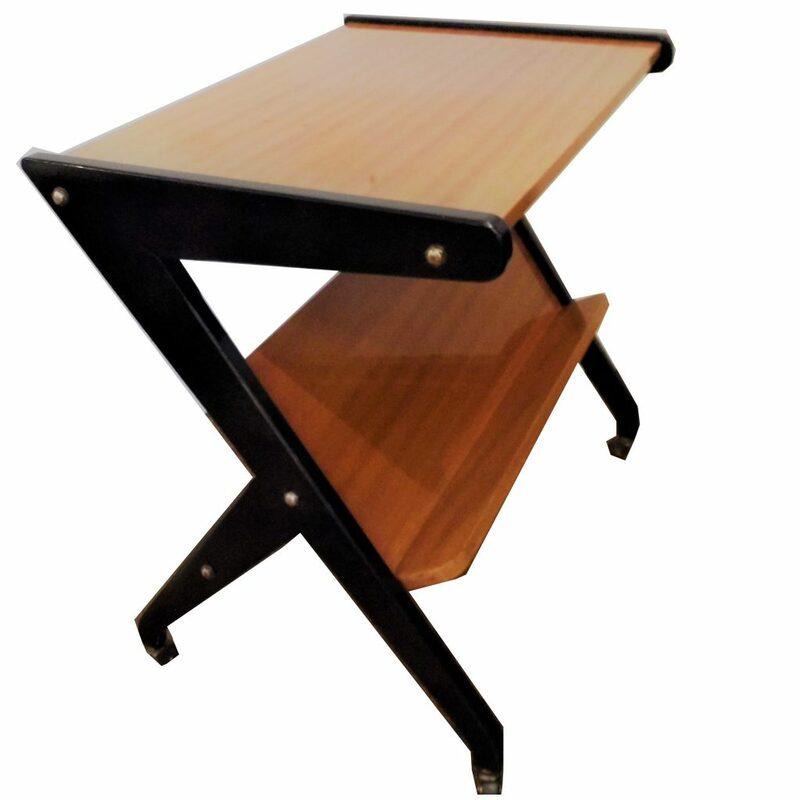 An Italian 1960s Ico Parisi Style Table. 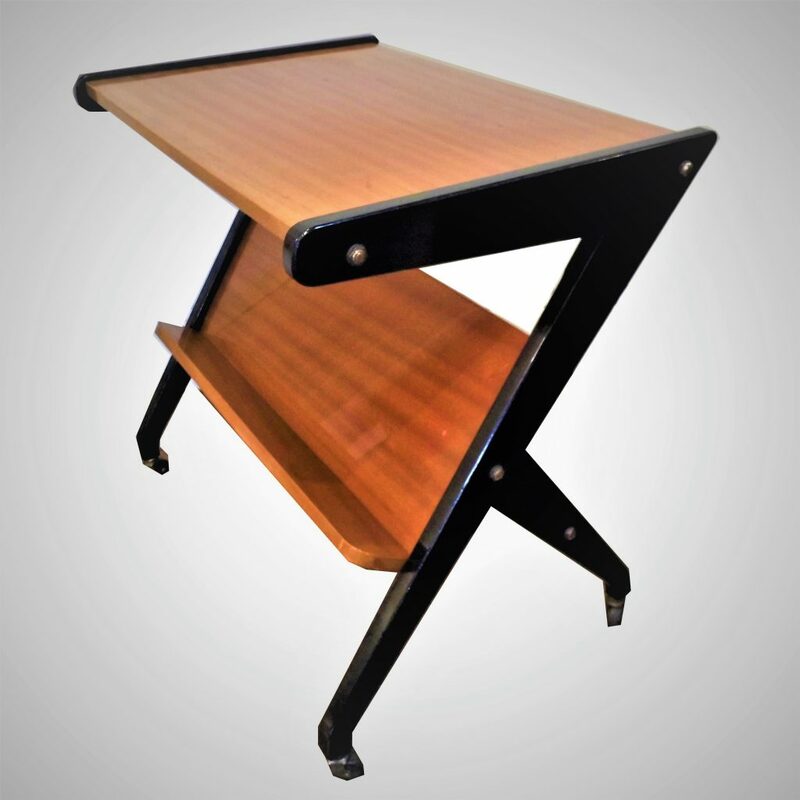 This attractive table is very much in the style of Italian Mid Century architect and designer Ico Parisi (1916 – 1996) in particular the distinctive zig zag legs. The black lacquered legs make a striking contrast with the sapele top and this piece looks as contemporary as it it did When first made. The undertier has a handy rack for magazines or books. It is in good vintage condition with a little wear commensurate with age, but no major faults.